First-year goalkeeper Charlie Fink has been crucial to the Spartans' success this season. The 6'3" goalie has started all 11 games and has only allowed seven goals. He has had four shutouts this year as well. 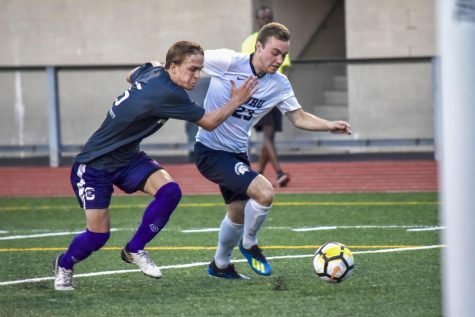 Climate change seems to have struck the Spartans, as the Case Western Reserve University men’s soccer team has had a blistering hot season. The team tied in their first University Athletic Association match-up against Brandeis University after defeating No. 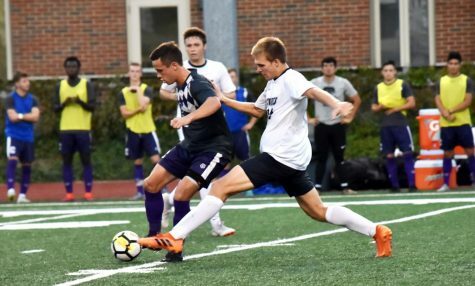 7 Kenyon College 3-0 at home this past week, bringing their record to an outstanding 8-1-0. Continuing their six game winning streak, the Spartans opened play against Kenyon in a rare moment on the defensive side. 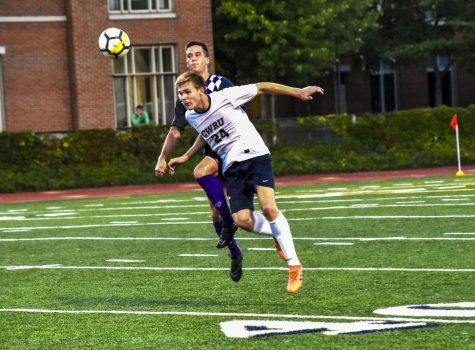 Kenyon attempted two shots off a corner kick in the first few minutes, but first-year goalkeeper Charlie Fink managed to scoop the first shot and the Spartans’ defense blocked the second. The Spartans took their turn attacking off a corner kick, with third-year midfielder Zachary Senft on the left finding fourth-year defenseman Christian Lytle for the header. Lytle accommodated to the short pass by running up, heading the ball downwards to the right and catching Kenyon’s defense off guard and converting the first goal of the game. 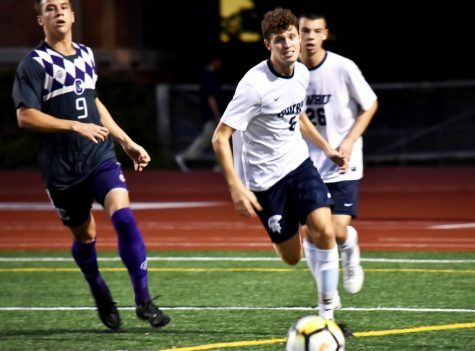 Third-year midfielder Marques Manta helped block the vision of the opposing keeper, as the keeper assumed the ball would head left, the same direction that Lytle was running toward. In the next twenty minutes, both teams had good opportunities at the net. Senft came close with a shot at the goal line, but the opposing keeper managed to predict the straight shot and dropped low for the save. The Spartans scored later in the game on a fastbreak, with the ball going to third-year midfielder Garrett Winter on the right. Taking his time, Winter slowed down the pace, sending a controlled pass to fourth-year forward Alex Besl. The defenders, still trying to keep up, did not expect such a long backwards pass to the trailing Besl. Besl managed to get the ball over a defender and took a long shot, whizzing past the overextended keeper, lengthening the lead 2-0.
had possession of the ball and attracted the attention of two defenders. He found second-year defender Nathan Ekberg for the cross, who had slipped behind the opposing defender marking him, for the goal. The Spartans handed Kenyon their first loss of the season. Ekberg led the Spartans with three shots, with Lytle and Senft having two each. Playing in their first UAA conference game, the Spartans took on another formidable opponent. 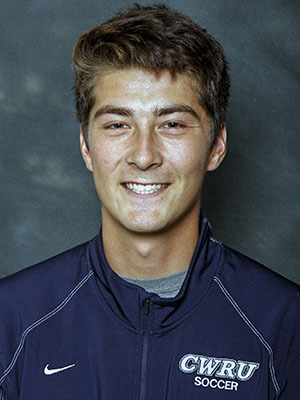 Brandeis qualified for the NCAA Division III semifinals last season. Both teams shared an aggressive style of play; most of the first half composed of the two teams trading shots. Manta had an excellent header off a fastbreak, but opposing second-year goalie Greg Irwin caught the ball. Irwin managed to save two more shots by the Spartans in the first half. Both offenses’ had shots that were too high or wide, with the Spartans leading shots taken 8-2, with three being on goal. After a scoreless first half, both teams were itching to draw first blood. But Irwin, the Judges’ defensive anchor, saved two shots by Winter. The Judges then took their turn of exerting pressure on the Spartan defense with two close shots. Brandeis had an 11-5 advantage in shots taken in the second half, and the Spartans were able to prevent any goals in regulation. In overtime, Fink stood out with a diving save at the 98th minute and had two saves in double overtime. 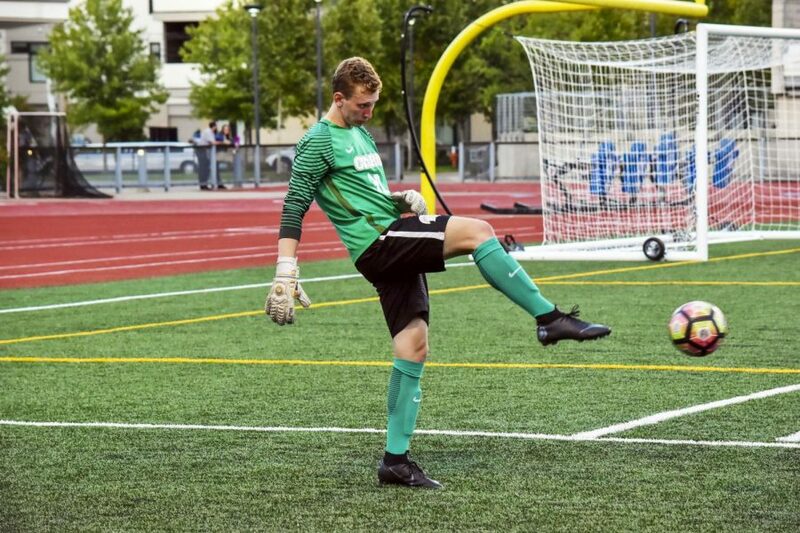 Totaling five saves in a nearly two hour game, Fink earned the University Athletic Association Defensive Athlete of the Week, boasting a save average of 0.824 and goals against average 0.61. 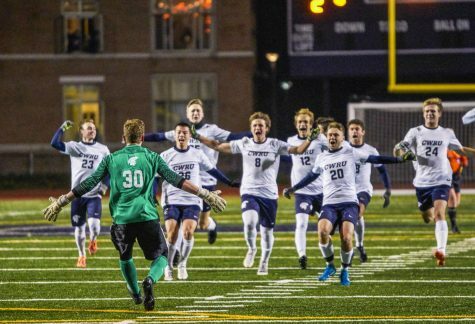 For their impressive performance this season thus far, CWRU has cracked the top 25 in the United Soccer Coaches poll at No. 21. In the D3soccer.com poll the Spartans rank No. 16. The Spartans beat Hiram College at home 3-1 and will take on New York University in their first home UAA match on Saturday, Oct. 6. However, the rest of the UAA schedule will be challenging and will pit the Spartans against four highly ranked teams.